This summer has provided a number of opportunities for peer-to-peer discussion of the Controller system, its ongoing development and site testing. 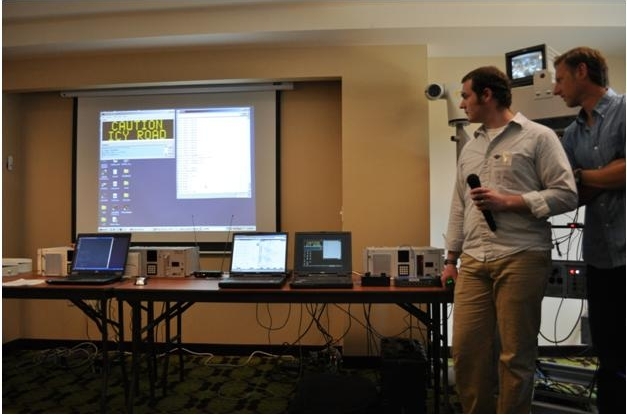 In June, Dan Richter and Kelvin Bateman presented and demonstrated the Controller system to about 40 Rural ITS engineers and technicians at the Western States Rural Transportation Technology Implementers Forum held in Yreka, California. This two hour presentation and demonstration was very detailed and gave an in-depth and practical look at the system and its requirements, development, testing, and future applications. In the photo below Dan and Kelvin demonstrate how the Controller system could put an icy road warning on a CMS. If you are interested in the detailed presentation, you can review it on the Western States Forum website. 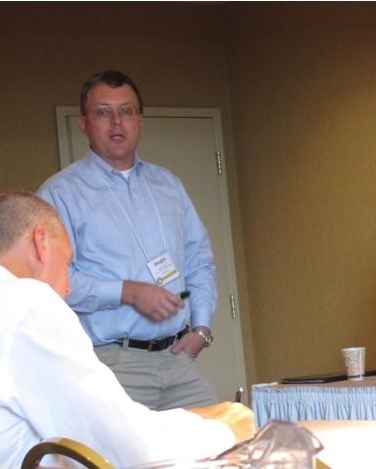 Doug Galarus presented the Controller system in the Communications – New Approaches to Challenges session. Many of the session attendees were from western states including Washington, Oregon, and Wyoming. Here is a link to the entire Controller presentation from NRITS.